Whether you have frequent migraines, or a headache every once in a while, their secret cause may be a chiropractic issue. Headaches are a pain in the head and can vary in duration, location and sensation. Chiropractic can help alleviate pain from a number of different types of headaches that spur from different triggers. Tension-type headaches are very common. If you have a pain that starts in your neck or face and travels into your head, it could be coming from muscle tension. Other symptoms can include a constant ache or pain around the head. 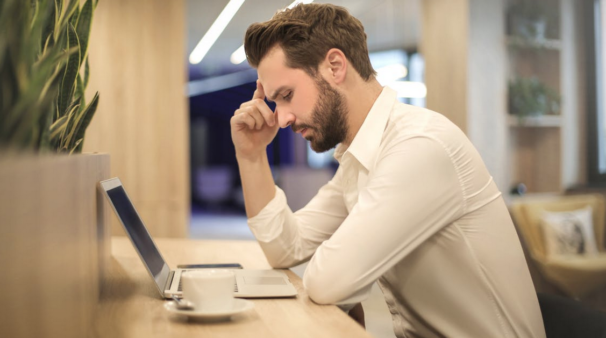 While tension headaches can be induced by a number of triggers, such as injuries or eye strain, the main causes of this type of pain are postural strain, as well as high stress or anxiety. There are many elements in our lives that play into poor posture and our mental health. Reducing stress, living a healthy and active lifestyle, massage, having your eyes checked and improving your posture are all key ways to reduce or eliminate tension headaches. Cervicogenic headaches are secondary headaches, that are a result of another issue in another part of the body. In many cases, the headache comes from issues in the spine. The nerves that cause the pain from these headaches actually appear from the part of your spine where the complaints are actually occurring. Treatment for cervicogenic headaches ranges depending on what works best for each individual patient. Physical therapy as well as a healthy and active lifestyle usually show positive results. The throbbing and pulsing of migraines can be debilitating. Migraines can feature an aura or signal from the nervous system before a migraine attack, like sensory problems or trouble speaking or moving normally. The pain from the migraine attack can last 4 to 72 hours and also be accompanied with nausea and vomiting, sensitivity to sensory experience, blurred vision and lightheadedness. The cause of migraines is still unknown, but they usually have triggers ranging from stress to hormonal changes. Chiropractic care can be a great option for people who need relief from headaches. The brain is a key part of the nervous system. By caring for the movement of the spine and health of the nervous system it can help reduce or mitigate headaches for some patients. While chiropractic care might not be for everyone suffering from headaches it can be a beneficial option to explore. If you suffer from headaches, chiropractic can help by helping with correcting postural strain and physically aiding your nervous system to help manage stress—two major causes of different types of headaches. If you suffer from headaches, chiropractic can help through two different mechanisms. Firstly, restriction and misalignment of the spine can increase muscle tension and send referral pain into the head. Chiropractic can remove the restriction and misalignment of the spine which will decrease tension and mitigate pain. Secondly, having misalignment of the spine causes an increase of stress hormone production. When you increase movement of the spine it can directly decrease the release of stress hormones and increase the healing response of the body. I take a holistic approach to treating headaches and other chiropractic issues by taking in all factors that play into patients’ overall health, and by referral to other experts when necessary to help patients feel their best. Looking for a solution to your headache pain? Contact me to book an appointment today.